Widgets are used to customize content that can be displayed on all the pages of the blog or website using WordPress. Widgets are often used for things like RSS links or just categories. Most times Widgets are used to display relevant things on the sidebar. 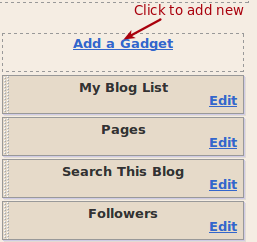 Just like Blogger.com has gadgets, WordPress has widgets. They work in pretty much the same way and the difference is WordPress always has some default widgets activated. With WordPress some plugins when activated show up more widgets as active.